RNP provides network technology, innovation and education services to the health sector, as a result of cooperation actions between the Ministries of Science, Technology, Innovation and Communications (MCTIC), Education (MEC) and Health (MS). In view of this, the Digital Health Solutions Program (SDS) was created so that the benefits could be shared between its components. The first initiative was the Telemedicine University Network (Rute), proposed by MCTIC in 2006. The Ministry of Health then created the National Telehealth Network Brazil Program, which has been integrated with Rute since its inception and celebrates ten years in 2017. In 2014, the Teaching Hospital Management Network (RGHU) and Network 4k-RGHU (RUTE-2.0) projects were introduced, this time proposed by MEC, together with the Brazilian Hospital Services Company (Ebserh). In 2016, MCTIC initiated the Global Network for Teaching, Research and Extension in Nutrition Sovereignty and Food Security (Nutrissan). Rute is a project coordinated by RNP and is considered the largest initiative in telemedicine and telehealth in academic network in the world. Currently, it covers about 150 university and teaching hospitals and includes 130 telemedicine and telehealth units, inaugurated and in full operation, in all states of Brazil. The network currently has 54 Special Interest Groups composed of professionals from various health specialties and subspecialties. In all, there are more than 600 sessions a year of video and webconferences recorded and made available on the ICD-RUTE (Digital Content Exchange). This represents a daily average of two to three scientific sessions with the participation of about 300 institutions, from Brazil and Latin America. At Paso Internacional, a Rute is published in Latin America by RedCLARA and the academic networks of 18 countries participating in the Inter-American Development Bank Project (IDB) of Regional Protocols for Public Telehealth Policies in Latin America. Telemedicine actions have also been developed in collaboration with Rute within the BRICS countries - Brazil, Russia, India, China and South Africa. In India, the academic network has been developing a similar program to Rute, an education hospital integration. In March 2016, the Strategic Guide for Telehealth for the Community of Portuguese Speaking Countries (CPLP) was approved, a partnership between the Oswaldo Cruz Foundation (Fiocruz), the Institute of Hygiene and Tropical Medicine (IHMT) of the Universidade Nova de Lisboa and RNP. Actions to implement the guide are under discussion between the member countries and Cetic.br. Learn More. 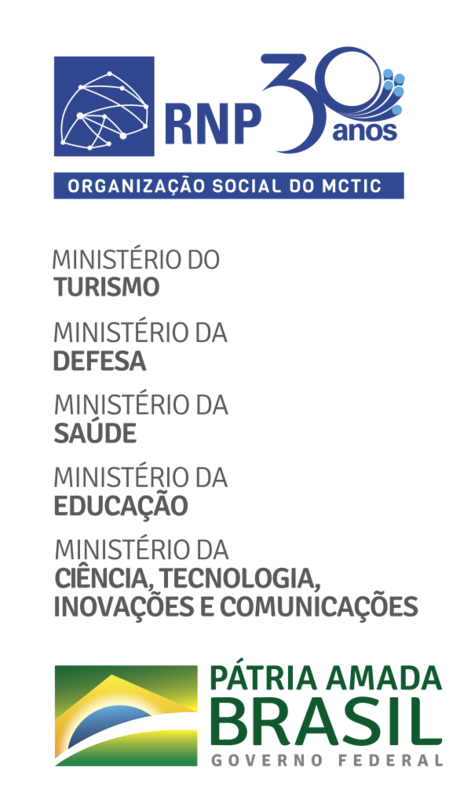 The Telehealth Brazil Networks Program, part of the Ministry of Health, is integrated with Rute and seeks to improve the quality of care and basic care in the Unified Health System (SUS), through information and communication technologies (ICT), to promote Tele-education, teleassistance, telediagnosis, teleconsulting and the second formative opinion. The Telehealth and Telemedicine centers are equipped with state-of-the-art communication equipment in real time and are connected to the high-performance network infrastructure operated by RNP. Currently, the program is present in 47 centers distributed in 25 states, serving approximately 10,000 health care program teams, 30,000 professionals and 2,874 points in more than 1 thousand Brazilian municipalities. In 2012, both initiatives, Telehealth Brazil Networks and Rute, received the Telemedicine best practice qualification by the Inter-American Development Bank (IDB), Pan American Health Organization (PAHO) and Economic Commission for Latin America and the Caribbean (CEPAL). The RGHU and Netwrok 4k-RGHU Projects (Rute 2.0) are initiatives of the Ministry of Education. The RGHU Project seeks to integrate the teaching hospitals administered by Ebserh into a high-speed network in the country and with adequate structure to run the entire administrative management system required. Currently, half the units have been connected by RNP, and the others are foreseen in negotiations. The Network 4k-RGHU seeks to implement telemedicine in some units aiming to increase the opportunities of health care by the units implanted in the RGHU Project. To facilitate exchanges of knowledge and practices in Sovereignty and Food and Nutrition Security (SSAN), the NutriSSAN Global Network project proposes the development of a communication and cooperation technology platform, based on Rute’s governance model and the potential to interconnect a variety of Range of actors committed to the Human Right to Proper Food (DHAA). The objective of the NutriSSAN technology network platform is to provide a collaborative environment to facilitate communication, coordination and cooperation among its members. The platform will be managed by RNP and will follow specific micro-management structure in order to classify and register the member institutions of the network, create Special Interest Groups (SIGs) and facilitate participation in the platform by video or web conferencing.